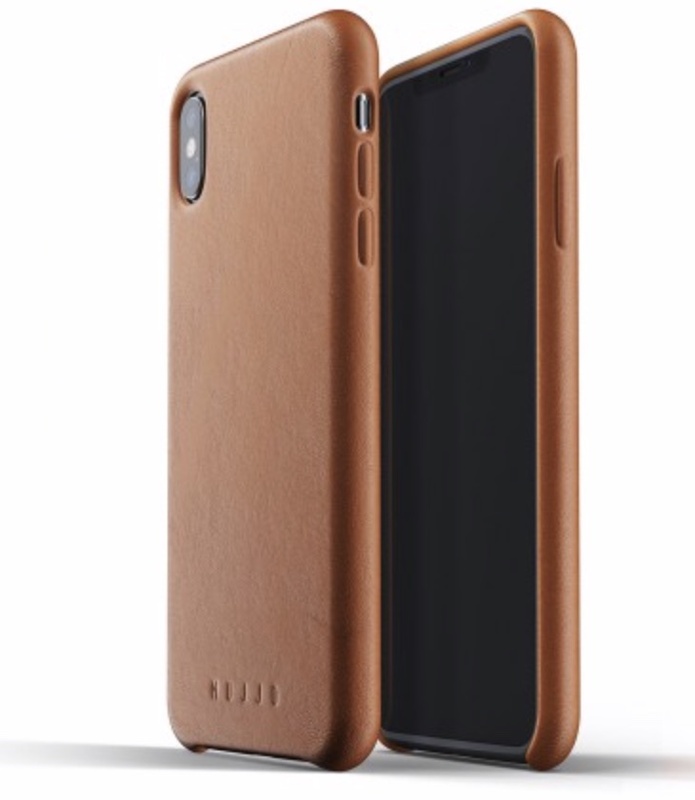 The Mujjo Leather Case for iPhone Xs Max (approximately $48) is a “wallet case” for the Apple smartphone. It’s a gorgeous case, but not a very practical wallet, at least for me. First, let’s examine at its strengths. Made out of high-quality, vegetable tanned leather, it looks great out of the box, and should acquire a striking patina over time as constant use helps break it in. The Leather Case is equipped with Mujjo’s Moulded Edge Technology, a polycarbonate solution that toughens the edges of the case and helps it to withstand the wear and tear caused by friction against jeans pockets. Whether you can comfortable place an iPhone Xs Max in your pockets is another matter. It fits okay in the lower pockets of my cargo pants, but is simply too big to fit comfortable in my blue jeans pockets. As you’d expect, the openings of the Mujjo Leather Case expose the volume rockers and Lightning connector. It also sports a slot designed to hold two or three ID or bank cards. However, that’s not enough to make it work as a wallet replacement for me. I have more than three cards (ID, rewards, bank, etc. ), as well as a few bills in my traditional wallet. Unless I can truly replace it with a wallet case, the latter seems a bit redundant. On the other hand, it works great as an iPhone case with a slot for business cards. However, you use it, the Mujjo Leather Case for iPhone Xs Max exudes quality and craftsmanship.